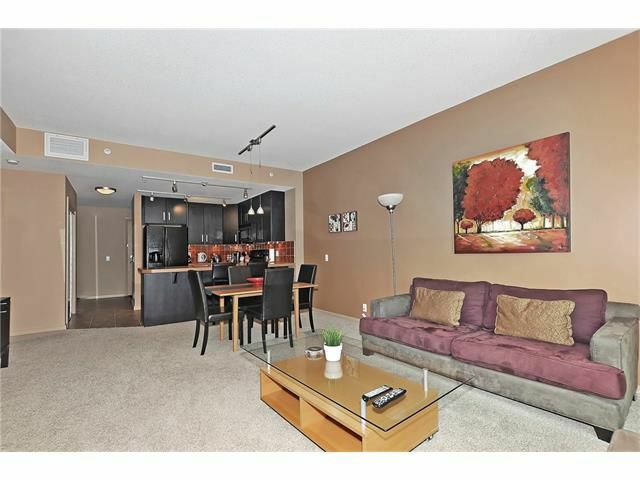 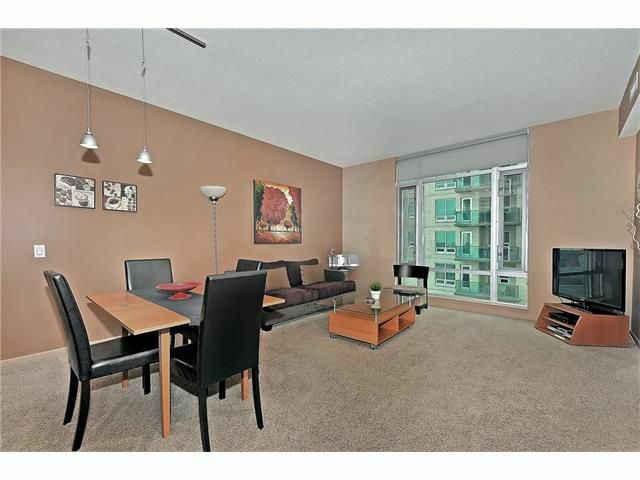 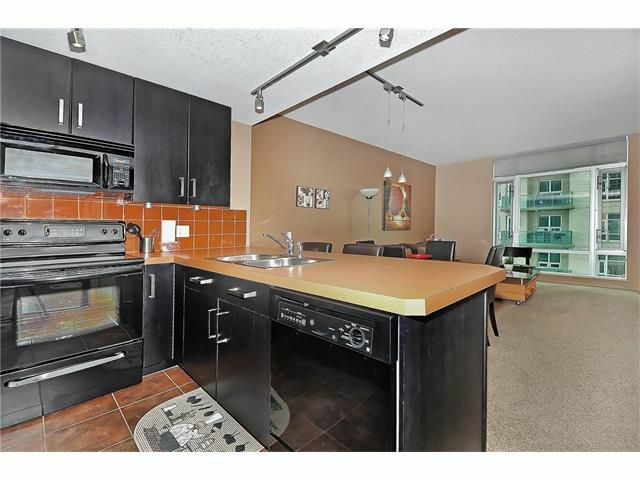 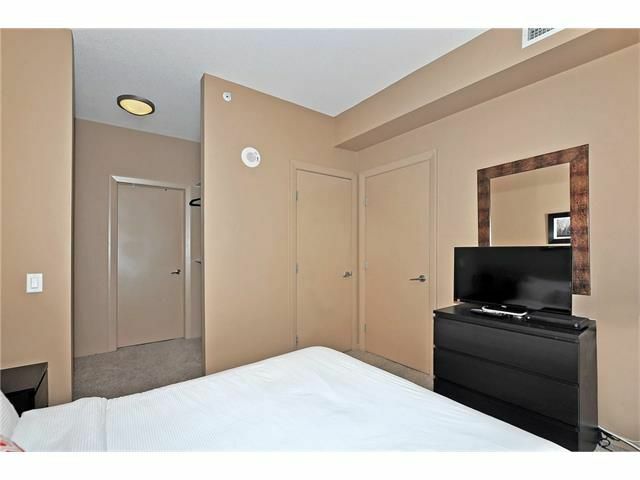 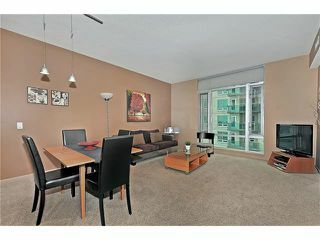 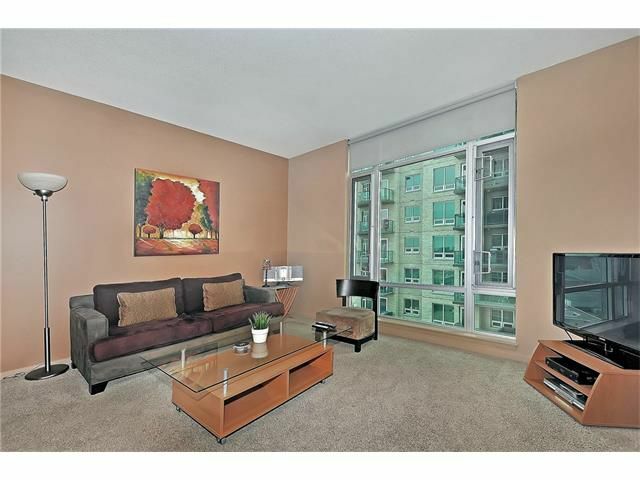 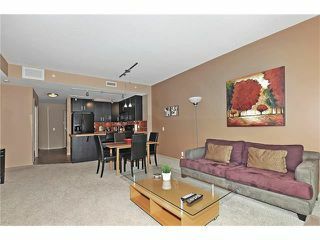 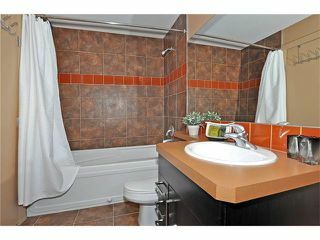 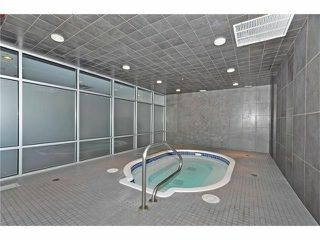 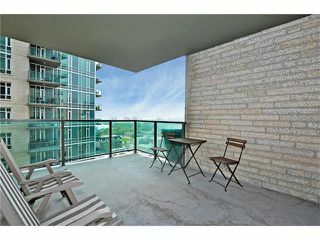 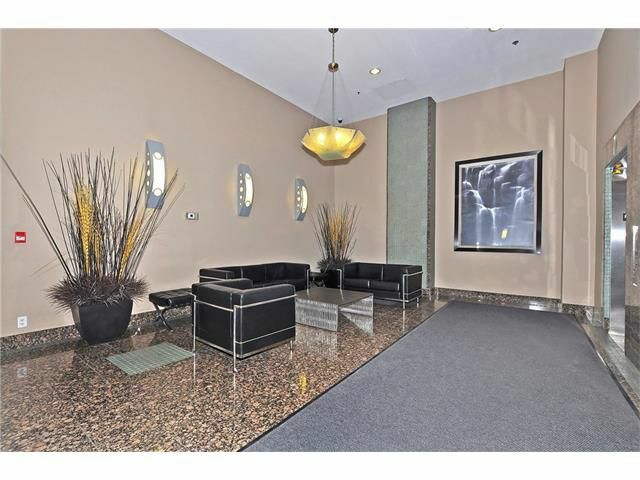 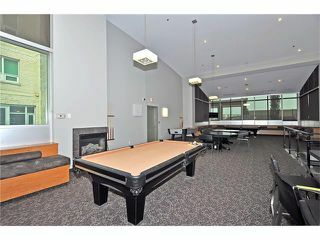 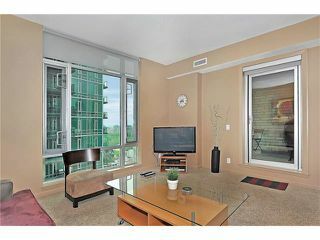 Opportunity knocks with this rare, one bedroom + den unit. 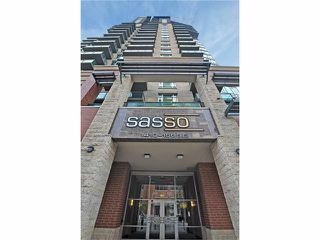 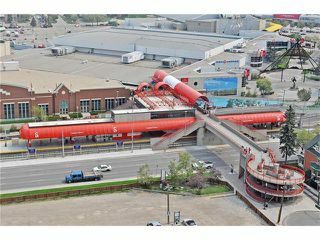 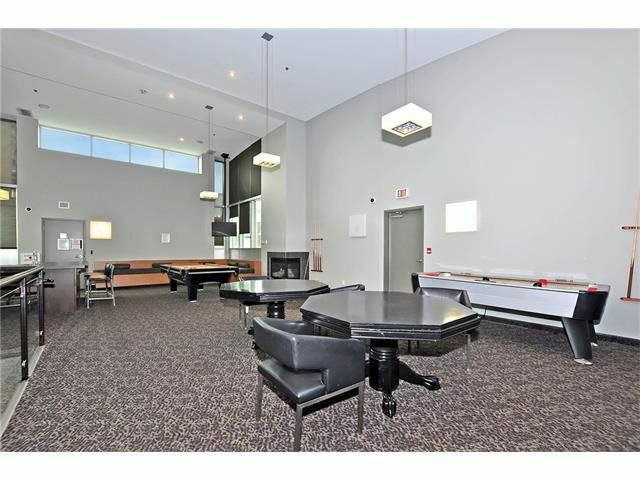 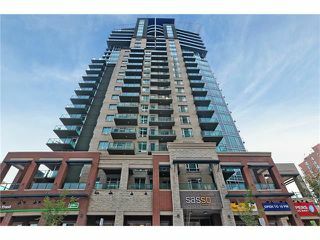 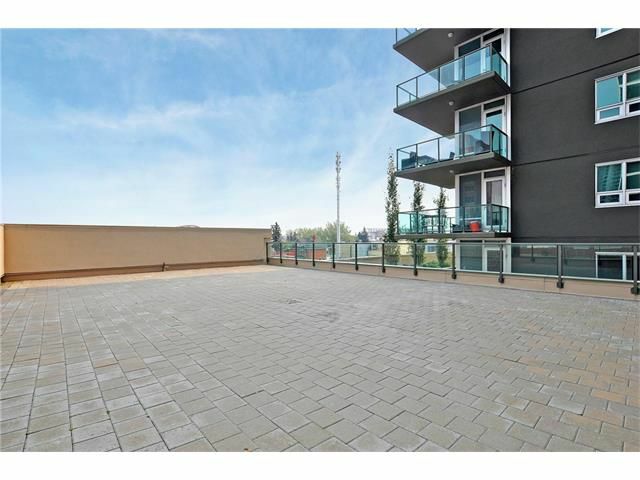 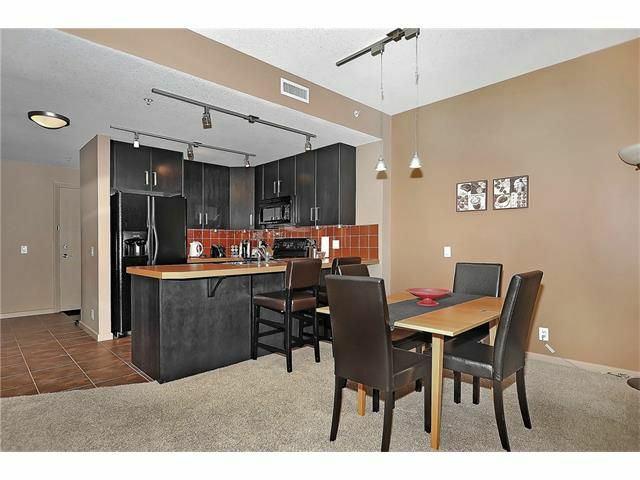 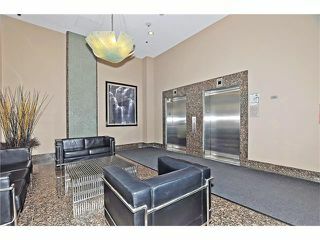 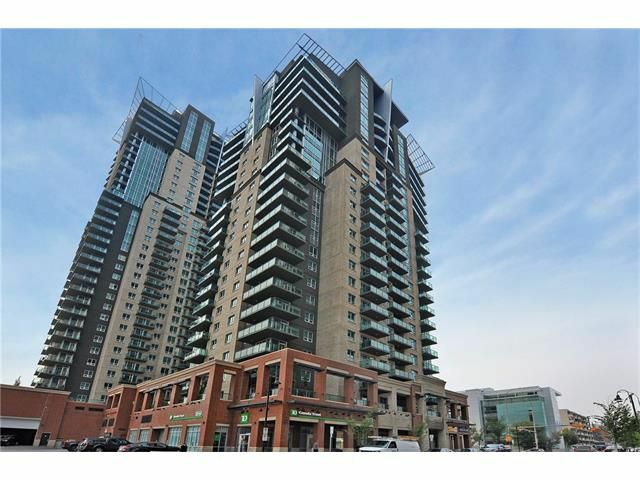 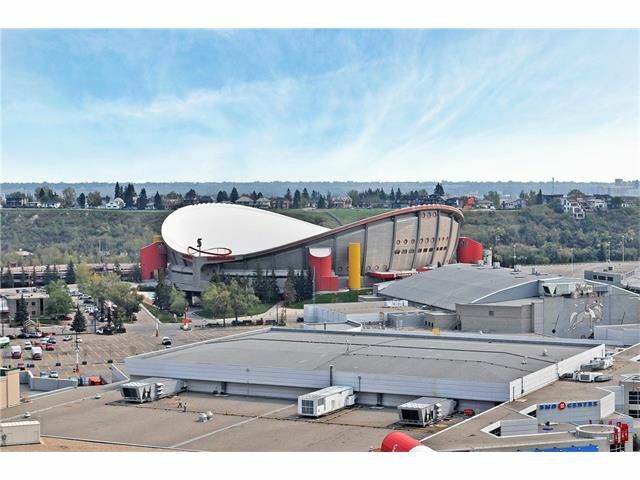 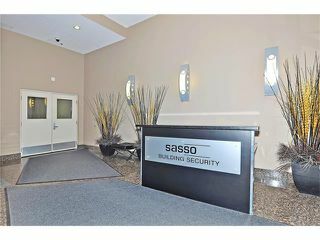 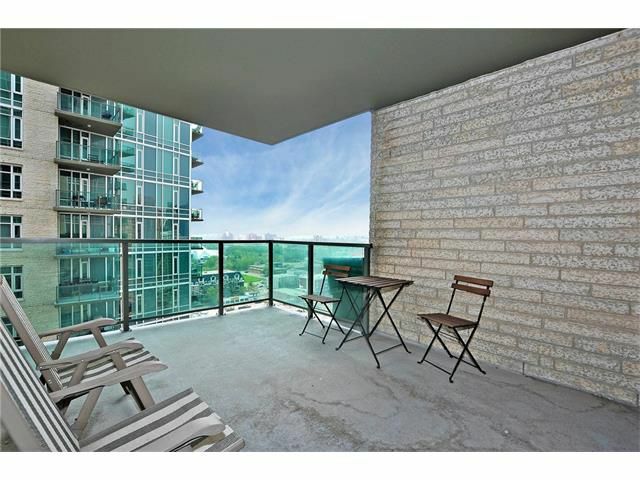 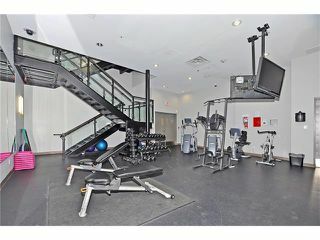 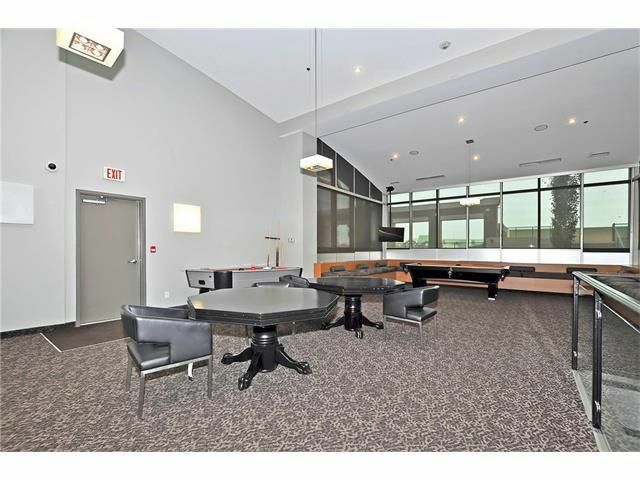 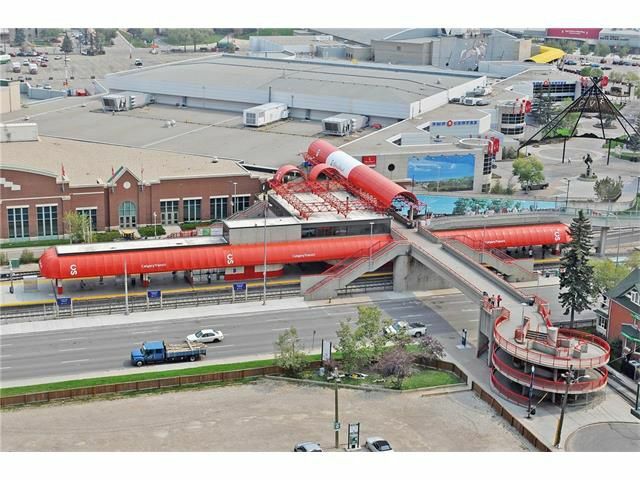 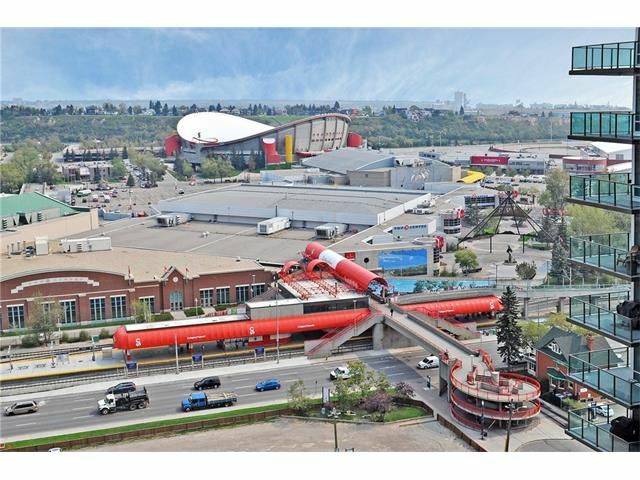 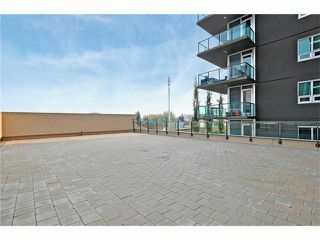 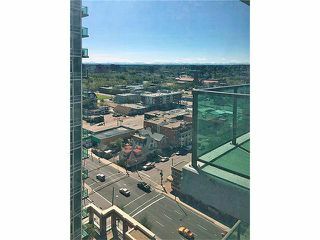 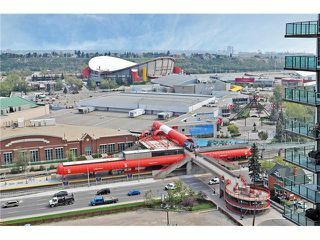 Located on the 16th floor of the SASSO building, with views of Stampede Park to the East and the Mountains to the West, this remarkable unit is one of only 6 apartments that offer larger decks & larger living space. 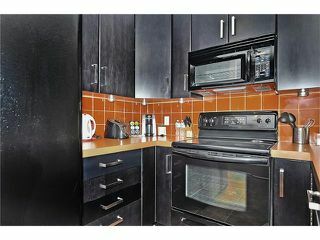 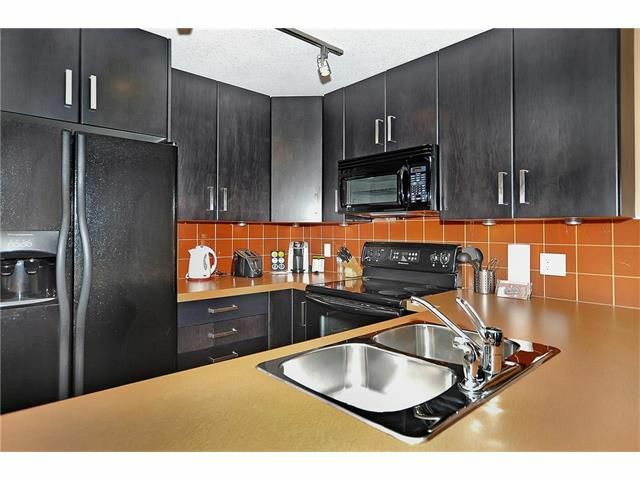 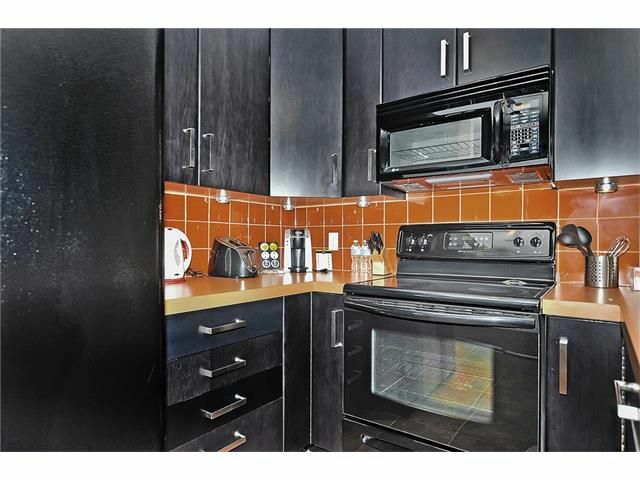 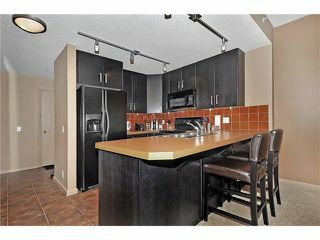 The kitchen has upgraded, dark wood, full height cabinets, accented with an Italian tile backsplash and black appliances. 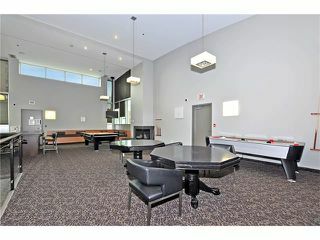 The kitchen overlooks the spacious dining room and living room with access to the uniquely large, covered deck and master bedroom on the adjacent wall. 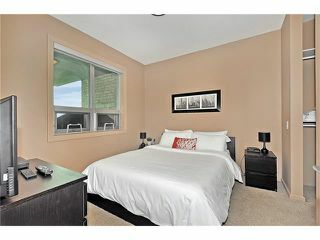 The spacious master bedroom boasts a walkthrough closet to the shared ensuite/main 4 piece bathroom. 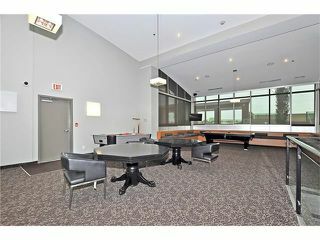 The den is just off of the entrance way to the left with a built in desk, power and phone connections. 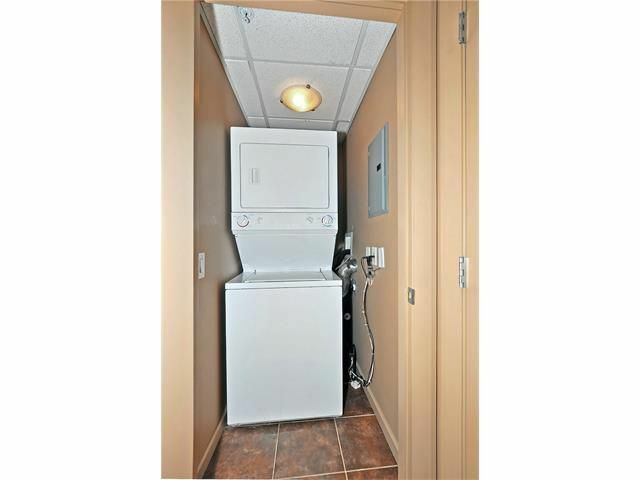 In suite laundry in the master bedroom laundry closet. 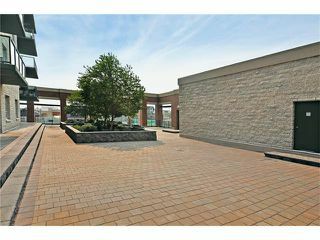 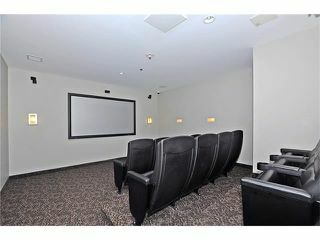 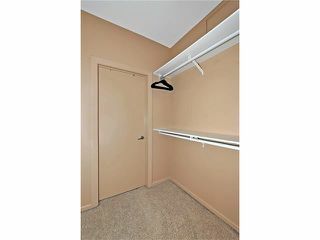 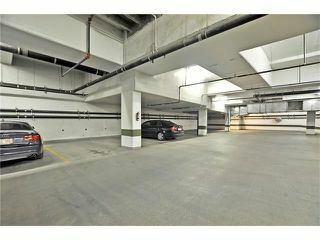 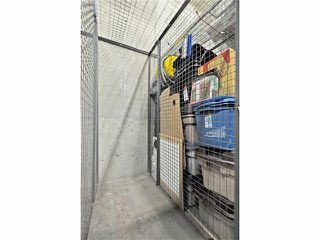 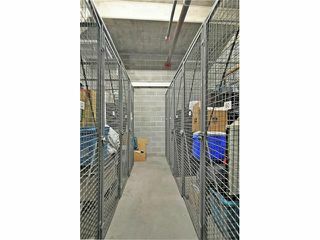 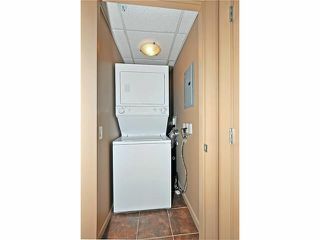 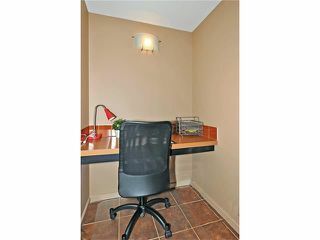 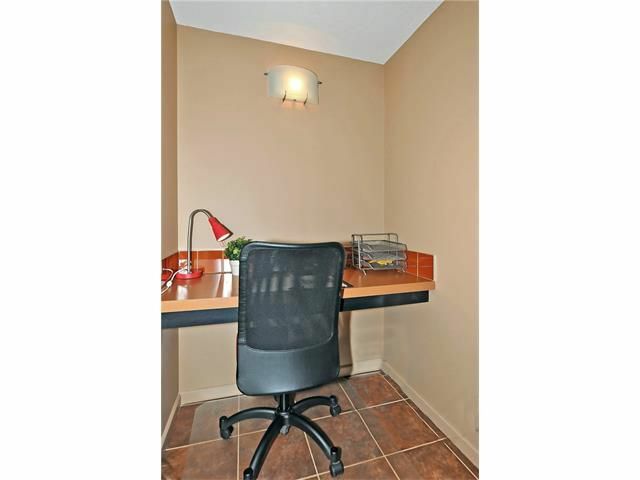 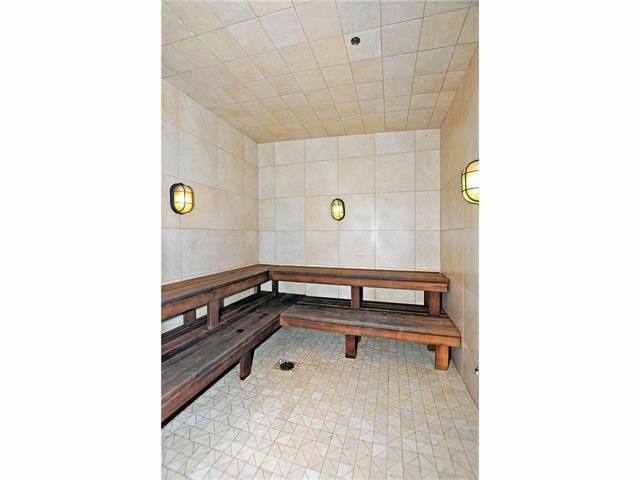 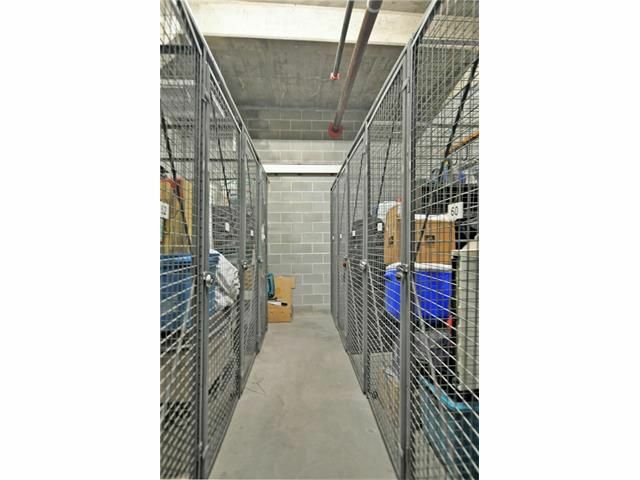 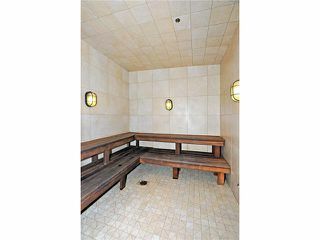 This unit offers one titled underground parking stall & separate storage cage.